The story of how Rudy came to be is quite unsexy if you ask me. I was on maternity leave this past spring and looking for something to re-energize my life. I’ve been working and living in the land of refugees and immigrants for the past 3 years. While a rewarding field, I was still itching to add some creativity and ownership to my work life. No job seemed to fit he bill. By chance I ran across an article on Entrepreneur. The article was about mobile business ideas. I’d heard about food trucks at that point, a regular Food Truck Friday attendee right here, but didn’t have the slightest idea of mobile businesses outside of that. 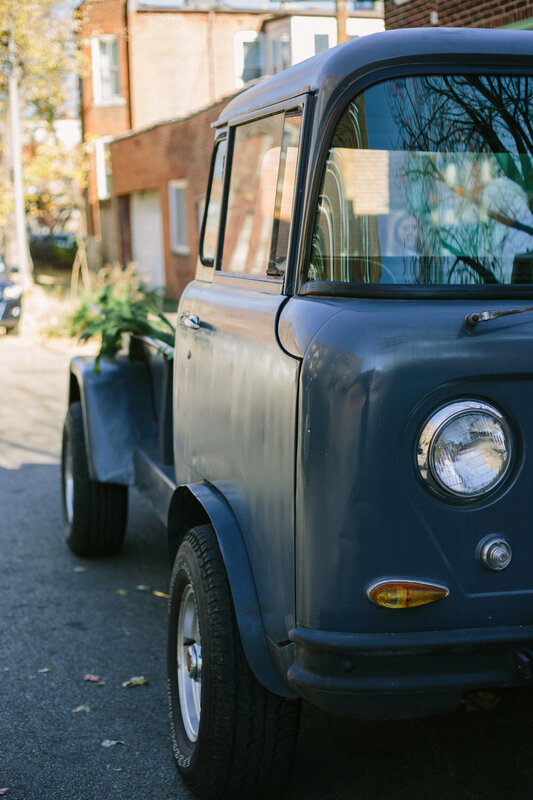 A mobile florist was the first in a slide show of ten. It was a full-service florist that runs from a traditional step or box truck. “Cute idea but not my style”, I thought. Swipe along. Two nights later a friend and I were chatting when the idea of becoming a florist was brought up. After that I was determined to somehow work with flowers. After countless searches for local floral positions with no luck I decided to take my job hunt into my own hands and open a business. I went back to the mobile florist model and ran. I knew this business needed to be unique and add some character to the city of St. Louis. That’s why I picked Rudy. Rudy evolved from the idea of being ran out of horse trailer, then a mail truck, to finally a 1958 Jeep FC 170 truck. Rudy is among only about 30,000 of these trucks that were made back in the day. She is such a beauty, imperfections and all. 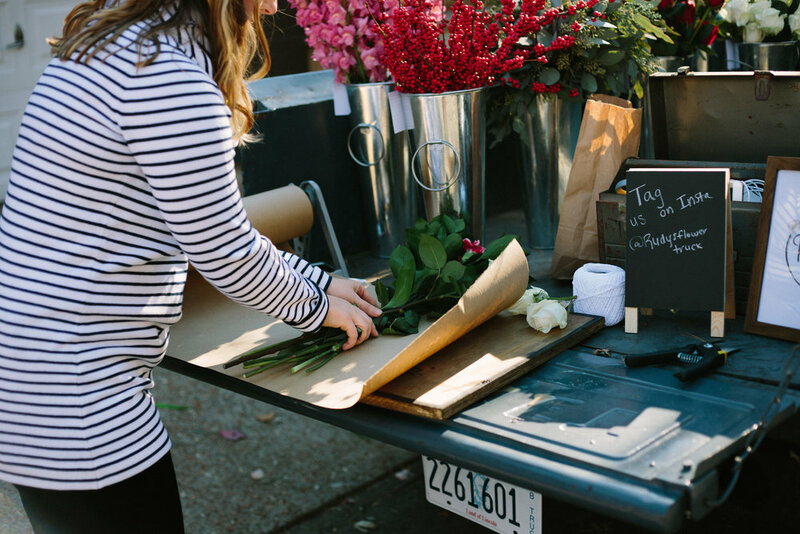 Starting in March, Rudy will be out on a weekly basis slinging bouquets from the back of her truck bed. We will offer a variety of stems and greenery available for purchase. All items are sold individually allowing each customer to walk away with a bouquet that truly fits their individual taste and personality. Rudy has been out and about in St. Louis a couple times in the past few months. 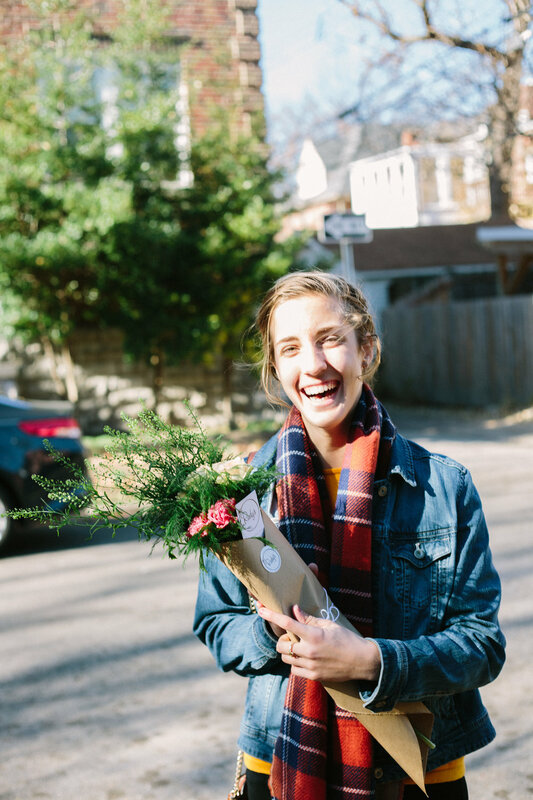 Seeing the smiles and joy that she and flowers have brought to customers has been inspiring. I can’t to continue that this spring.